‘Tis the celebration season. 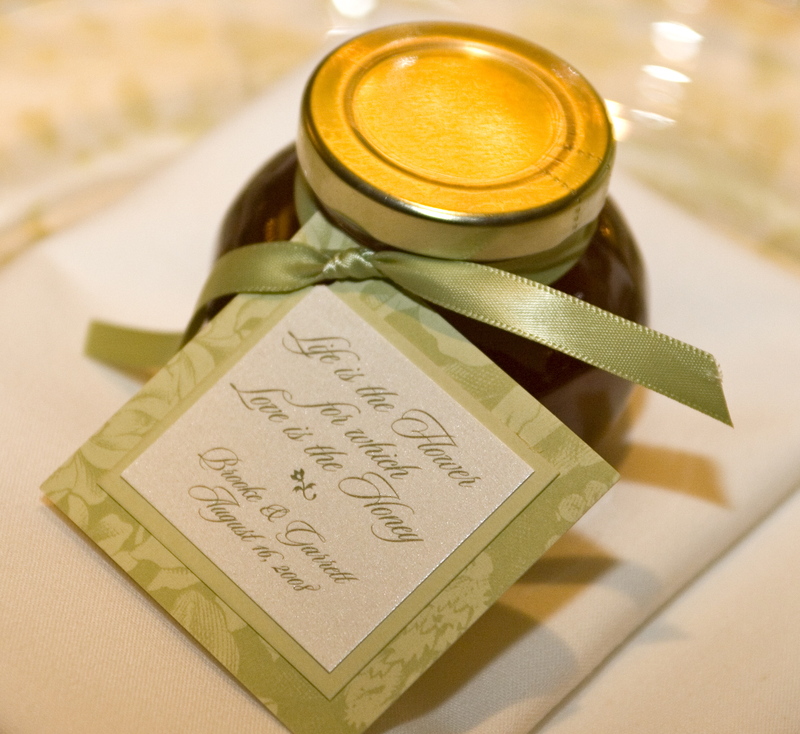 May and June bring us a slew of commencements and nuptials. 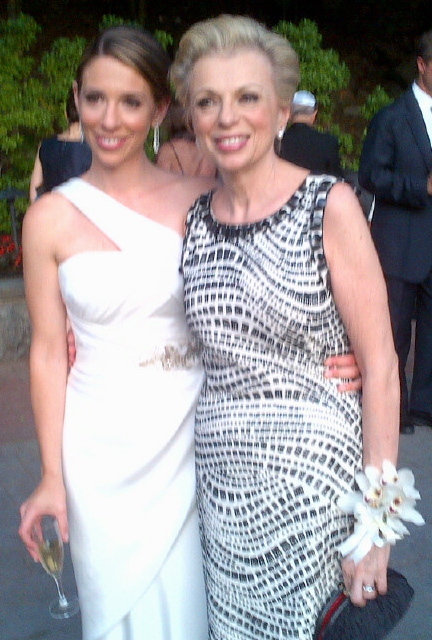 Last weekend I attended the wedding of the daughter of my great pal, Diane. A guest at my table had recently taken in 3 graduations and two weddings in as many weekends. Battle fatigue had set in. But I was still fresh and savoring this particular set of “I do’s,” with its postcard perfect backdrop of the Hudson River glowing at sunset. The scene brought me back to other weddings I’ve been to, read about or watched from afar – think “Downton Abbey.” By the way, the garden photo at the top of the post page is the one you never see on “Downton Abbey.” Jack took this picture when we visited Highclere Castle (aka Downton Abbey) last year. 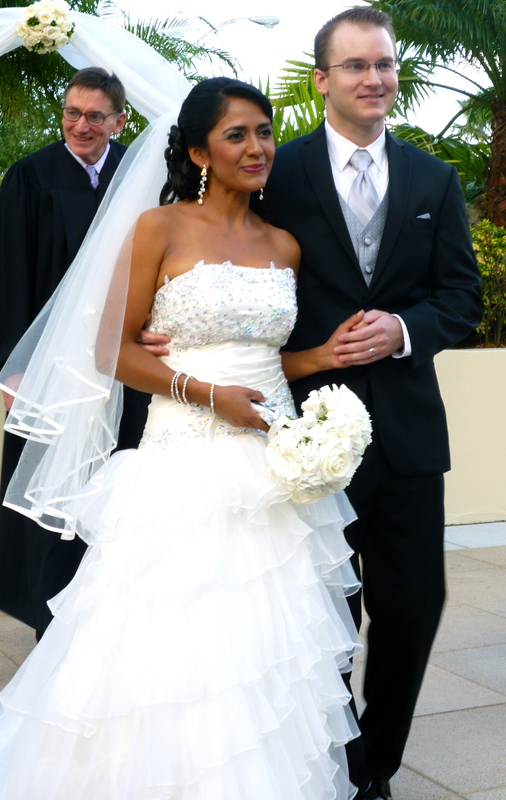 For my (2nd) wedding I obviously shunned virginal white, which I even avoided the first time around. But I knew I wanted vintage and found what I was told went by the quaint name of “tea gown” – it was from the Thirties – at a vintage clothing boutique in Santa Monica. I love the unhurried practice of taking tea so this was a perfect pairing. Savoring tea solo or with friends is SO CIVILIZED! April took me to Miami for my nephew’s wedding. His bride, Wendy, was a confection of ruffled white as she floated down the aisle. 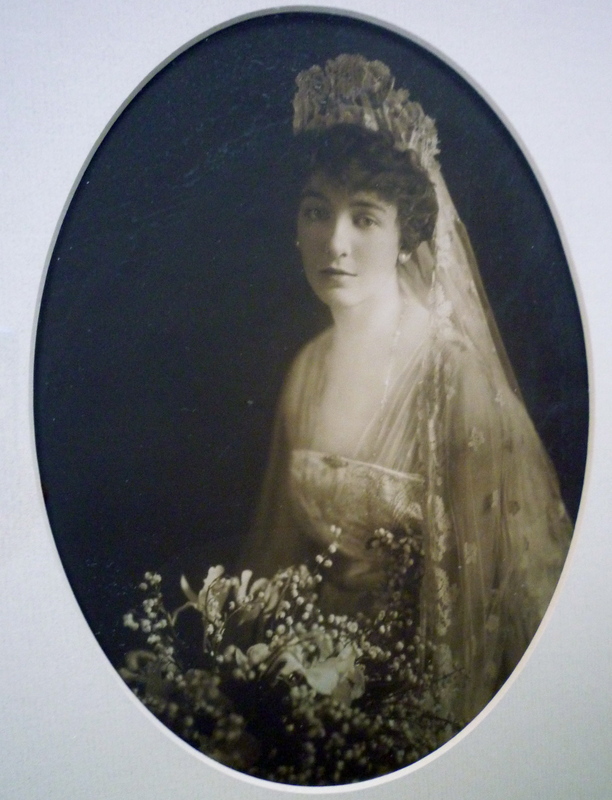 A century before, my grandmother was draped in satin and lace with a massive bouquet that appears too heavy for her. 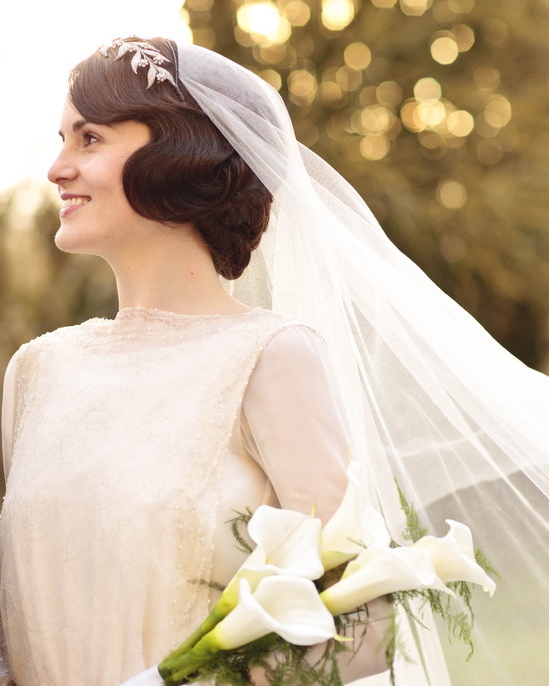 Then, moving on a few years, we have the total simplicity of Lady Mary on “Downton Abbey.” What a beauty. So, as we witnessed in the latest episode of “Mad Men,” Sally Draper had quite the overnight at Miss Porter’s School in the fall of 1968. Gee, I wondered if Farmington/MPS, my alma mater, was being given a fair shake here. Fellows – they were known as “Callers” – tumbling through dorm windows? Alcohol at the ready? Would there have been that many changes in a little over three years, from the time I graduated to when Sally arrived to check out my boarding school? I emailed Farmington questioning the overnight-look see thing. I never got to do that! No response, but then school’s out now. 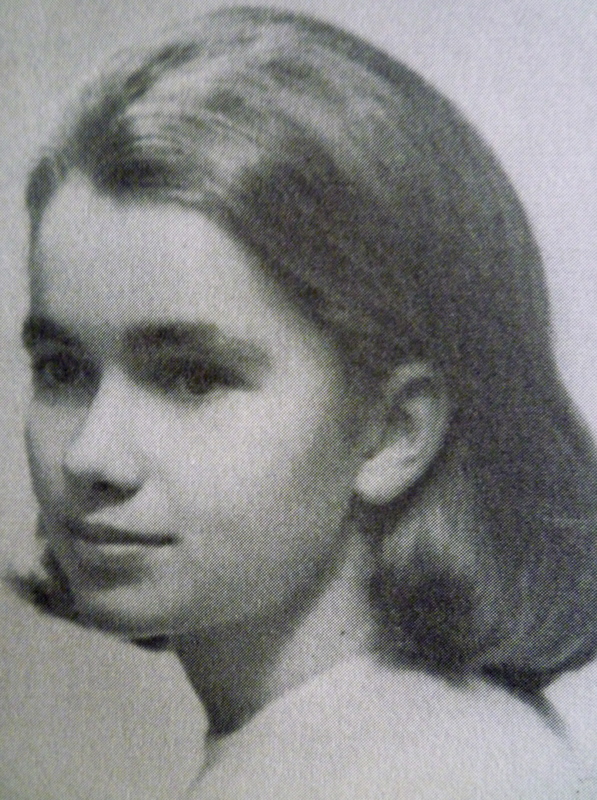 I was one of those rare birds who liked boarding school – no crying jags of homesickness for me. And I liked my parents!! The one time I got called on the carpet was for skipping church the fall of my senior year. Attending same was abso. I might add I was in the library and not sipping a Tom Collins in my room. 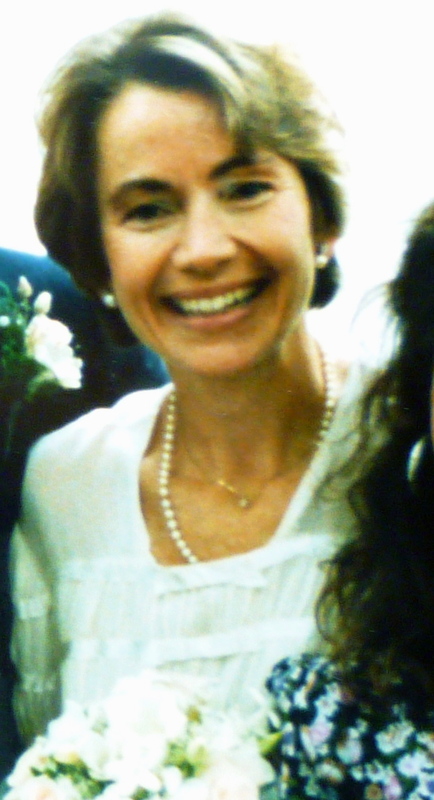 My mother was getting married the following weekend (we had 3 free weekends our senior year). I had permission to attend the wedding that Saturday, but had to be back at school in time for the last church service on Sunday. That was my punishment. Speaking of no nos, let’s take a look at the rule book and what it says about – horrors – smoking and drinking. Yes, there were rules, restrictions, but then there was the totally inexplicable treat from time to time. Go back to Feb. 1964 when the Beatles were on the Ed Sullivan Show. Thinking it a high cultural moment, I guess, we were allowed to watch the broadcast in the housemother’s quarters where we squeezed around a snowy black and white TV screen in our Lanz flannels – just a handful of the estimated 73,700,000 viewers. There were the screamers, of course, who lunged at the screen. I was totally grumped cause the screaming drowned out the Fab Four’s singing. The only other time TV viewing was permitted was JFK’s telecast about the Cuban missile crisis the year before. Go figure. Will we see more of Sally at MPS? Will Glen be a regular “Caller?” Will she help carry the daisy chain at graduation? God, did that smell awful! 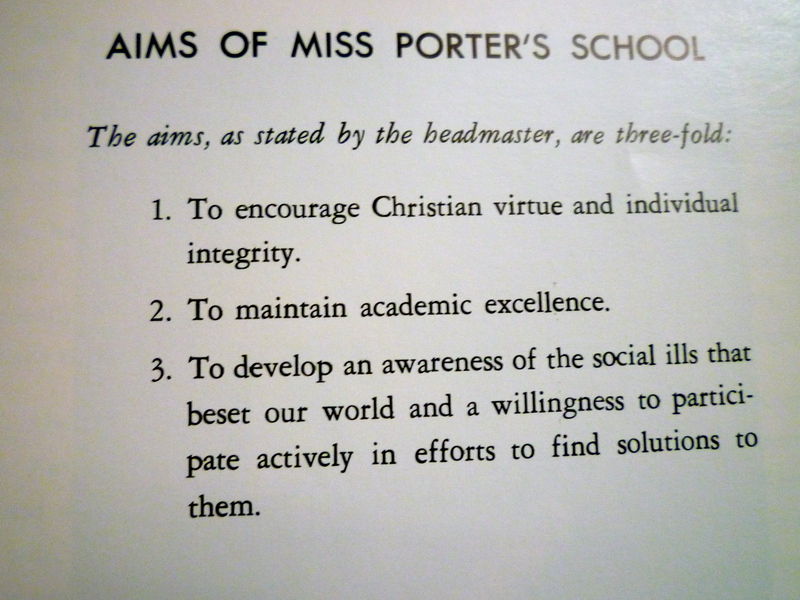 I wonder if the “aims” of the school (below) have changed over time. What do you think, Sal, is this the place for you? A little too confining, maybe? Would dad go off the rails on Parents Weekend and sneak off with a classmate? On the other hand, maybe it’s time to get some distance from that tangled family of yours. No, it’s not that island in the Bahamas. For me, Bimini stands for the birthplace of the nickname for my stepfather whom I would like to remember on this Father’s Day. I never could call Bimini by his given name, Alden. Too puritanical, foreign. Calling him anything when he married my mother less than a year after my father died was difficult. We probably first bonded over the silliness of this nickname; literally pulled out of the sky when we were flying over the Bahamas on a spring break. Back in the Sixties pilots often gave brief travelogues and when our captain pointed out the island of Bimini peaking through the cumulous clouds below, I said that’s it. Bimini was born for no other reason except it was – well – there. 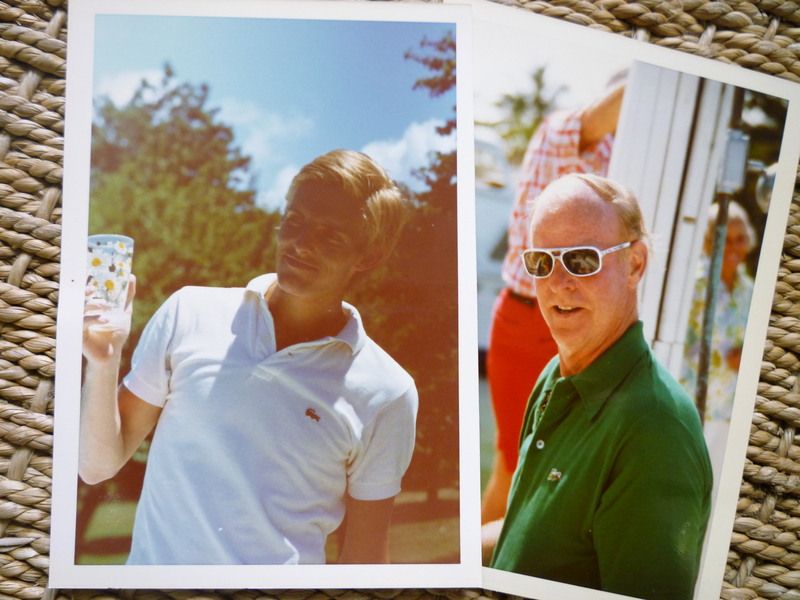 Bimini was a great and generous stepfather – funny and never intrusive in a parental way. Early on, he said he would never tell me what to do, be the disciplinarian: “That’s your mother’s role.” And he kept his word. We had a bumpy ride in the beginning. I remember, not to long after my father died, Bimini drove up to our house and asked for my mother. I was outside not doing much of anything except being a sulky teenager, and responded very grumpily “Who wants to know! ?” Enough attitude to broadcast a do-I-want-to-go-there signal to any prospective suitor. But he hung on and how fortunate I was he did. Bimini and I grew close over the years and could share confidences…up to a point. He had three sons from his first marriage. 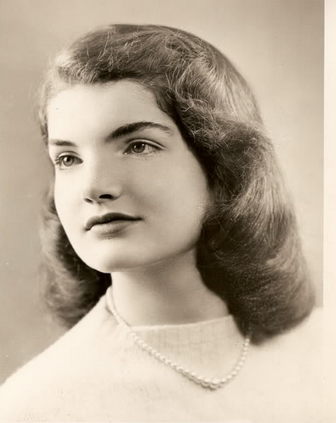 Jay, the youngest, like me, had also suffered the loss of a parent at an early age. One spring day in 1985 Bimini called with news about Jay. “Hey, Bimini, what’s going on?” I said. I was in my apartment in New York. I can’t remember the month or time of day, but I will never forget the news on the other end of the phone. “Jay’s in the hospital,” Bimini said. “They don’t know,” Bimini answered. I sat down. “He’s got some kind of strange cancer. Can’t seem to shake anything.” He went on to describe a classic case of AIDS, but sounded in the dark. I knew enlightening him was pointless; he wouldn’t want to hear this diagnosis. “He doesn’t want visitors; doesn’t want to talk.” But he told me the name of the hospital in New York and I called to learn his condition, desperate for an update. Was I told “guarded” or “stable?” I sent my stepbrother flowers that day. They were all white. He would have liked that. I never heard from or saw Jay again. He died that October. Bimini saw Jay a few months later at a carefully choreographed visit to the hospital. He never told me he went. I learned this and much more weeks after his memorial service, from Stephen, a good friend of Jay’s. We had dinner. Jay was in his early 30s when he died. He was an art dealer, one of the many men in the art world AIDS claimed. He was on the list that Vanity Fair printed of those in entertainment/arts/culture that had died of AIDS, categorizing the names by profession. Oh, God, did Bimini see this I asked myself when I spotted the article in the gloom of a late night flight to Los Angeles. No, he doesn’t read Vanity Fair. Relief. My brother Tony and I saw Jay often when we all lived in New York in the Seventies and Eighties. Jay was fun to be with, he had a great sense of humor. He was witty…and secretive. My friends loved him. After my mother died in 1980, I would drive out to Connecticut from the city to have dinner with Bimini. After one meal, before Jay had died or even before he had shown any signs of his illness, Bimini asked angrily, “Who are Jay’s friends anyway?” He wasn’t looking for specifics, for me to name names. I know he wanted me to tell him about the cute girl Jay was dating or the fun – read heterosexual – couples we saw him with. My answer was vague, safe. After Jay died, at another meal, Bimini announced: “Just because he died of AIDS doesn’t mean he was gay.” Jay’s obituary had been illusive: “He died after a short illness.” End of story. I would be less so. I could not negate this part of his life, so I took the easy way out and simply said, after a pause: “Bimini, even if he was gay, that is not the worst thing in the world. I have a lot of gay friends.” Silence. He thought about this, but did not respond. The conversation went no further, but I sensed a certain all right. Did my connection to the gay world somehow sanction Jay’s identify in it? I wish I had had the courage to say more to ease Bimini into some kind of comfort zone about his son. Bimini did not want a funeral, or any kind of service. His other two sons were mute on the subject. But Jay’s friends – bless them – pushed and so there was a memorial service in the city. Tony and I had no idea whether Bimini would show or not. Finally he arrived with his sons, the three of them noticeably uncomfortable in a sea of men. They ducked out after the service, avoiding the reception held at a loft downtown. That’s where I connected with Stephen. “Let’s get together,” he said. A few weeks later we had dinner at a small restaurant in the Village. I sensed he wanted to talk, unburden. “I was never a lover of Jay’s,” Stephen told me. “We were good friends, but there was a side of Jay that was very closed – even to us. I warned him to be careful, that there was this disease out there. It was dangerous.” I wondered about this need to be reckless, when the risk was so great. Stephen didn’t have an answer. Was Jay’s secretiveness partly – greatly – due to the fear of Bimini’s reaction to his lifestyle? Stephen described Bimini’s hospital visit; how Stephen and others had made-up Jay, covering his lesions as best they could; plumping up his pillows for this audience. I wish I could have gone with Bimini, to hold his hand, to say goodbye to Jay. But I wasn’t invited. I wondered if either of Bimini’s sons had chaperoned him? Stephen told me about calling Bimini and discussing the idea of a memorial service. “He offered to give me the money to pay for it,” Stephen continued, his tone turning cold, “but he didn’t want to be involved. I told him to keep his money.” And tell him what he could do with it, no doubt. I winced. What a wonderful, caring friend. What an angry, confused father, alone in his grief. Jay would be in his late 50s today with much of his life ahead of him. If he had survived, would he have continued to hide and lead two lives. Or would he have finally flung that closet door wide open, at last comfortable in his own skin, ready to share his life with ours, especially with his father.